The ACT Government will increase the eligibility age for the Seniors Card from 60 to 65 over by 2025. The card is currently available to ACT residents aged 60 years or over who are retired or work less than 20 hours a week. From July 1, 2017, the eligibility age will increase to 61 years, then increase by one year every two years till 2025. According to the ACT Govt Seniors Card website, there is no fare reduction on ACTION buses for seniors. That clicks in at 70 yrs old or if you have income support from Centrelink. So, to get “seniors” over 60yo out of cars and onto buses (so reducing road congestion), it would be a good idea. Does the ACT Govt Seniors Card actually entitle seniors (over 60yo) for any reduction in ACT Gov’t fees and charges – on anything ??? If it does, then I could not see that on their website. 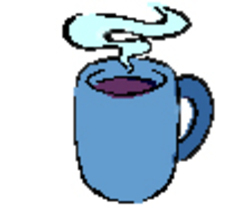 Found. Went to ACt Govt shopfront. There is a minor/token discount on car rego fee. I am finding Seniors’ Cards are losing their status rapidly. Most shops where I used to get a discount now have switched to in house loyalty points and they don’t extend the usual 5%. And now that Coles have taken over Supabarn at Wanniassa the 5% grocery discount on Wednesdays has been withdrawn. We are just becoming another marginalised demographic. The seniors card (aged 60 if not working full time) gives a discount on bus fares. It also gives a discount on car registration, but the bus fares are the better discount of the two. Off peak the fare is 78cents per journey and peak $1.41. I believe free bus fares kick in at 70 years. Should have added, that is with ‘My Way’ and topped up with B pay, not with credit card. To get the rebate on rates and electricity one has to be on the age pension. There are some suppliers of services that are listed in some seniors organisations that give a discount but I cancelled my membership of the organisation I was with as they were just another Labor mouthpiece so I don’t know what applies anymore. 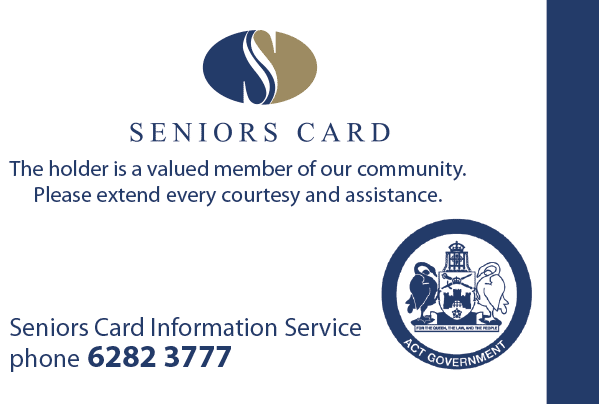 The ACT seniors card is now printed on the reverse of a Transport for Canberra “MyWay” card (whatever that is). Some ACT clubs are extending discounted memberships (and other discounted services) to senior card holders.